Hey folks, how are you? I hope you doing great. Today I've got another RC moments post which I will be including my second RC truck in my collection. This is different than the previous RC moments post which I will be sharing amazing moments aka 'RC stunts' that I have done with this car instead of funny. This is one of my favorite trucks in my collection because it's so fast and also sold when I hit a walk or anything sold, it doesn't' break. I can drive it on the hills with no problem, but because this isn't that big car which will slow its speed, but again that wouldn't be a concern to worry about as long as I can drive on the hills, that's amazing. I'm not sharing recent moments in this post because this car is old and it will be worth it to share the old moments before forgetting it and save it for years ahead. This is the main reason for adding such as this topic on the blog. I like to read these moments after a long time and draw the pictures in my mind again and remember it. This car has a feature that the previous car which is the Lambo doesn't have. I can break it up into parts and it can be fixed together quickly. This is probably my favorite thing about RC trucks because it means that the truck can handle some hits on walls or sold stuff unless its a very hard crash which will break the parts itself. 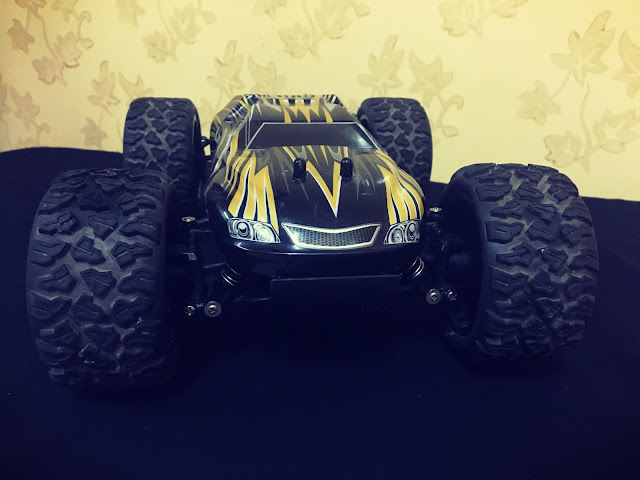 Also, What I like about the trucks is that I can drive it in more than one ground or floor whether it's silky or rough ground which gives me a chance to play them anywhere I want and most the time. There are so many memories in different places and grounds for this truck specifically. Let me introduce you to the land buster, but I would call it the land monster because it can go on any land and nothing will stop it. I've had this car for a long time and it still as strong as before, but I lost the battery which it can't move without it. I kept it away from the road to allow other cars and trucks to have fun for a while and I might get it back soon. My little brother and sister can't drive it because it goes fast and they get scared when it does that. I help them to push the gear in the controller and make go slow to let them enjoy their ride in our backyard or in front of our house because playing inside the house will risk destroying everything in the house and then you know, my family will be mad haha. Apart from the next stories, I was playing with the RC truck inside the house and my dad was drinking a water on the couch. He put the glass on the floor for whatever reason he thought to do that and I was going fast around the living room and I crashed into his cup and it broke which got him mad at me for doing that. The funny part is that my dad just got his water, but he didn't enjoy that much haha, sorry dad if you reading this. First stunt and I call this 'The cups entrance' which I made a good size ramp for the RC and stacked plastic cups in front of it. I drove the RC little back to get little bit enough speed to hit the target well. I don't think I need that much speed though because it's not a huge ramp and not that much of cups. I did it well, but the RC didn't go through from the center as we wanted, but it was a good stunt. I wanted to be like movies when the car come out of something like this idea or similar to it from the center. My friends were helping me with this stunt, but I think we all couldn't do it in the right way because it wasn't as expect and the timing and balancing the RC was a bit tough with the speed. The second stunt I call it 'The backflip bucket' which I did a backflip with the RC truck and straight to a bucket. I remember when I did this, I didn't have anyone except my cousin because in that time, my friends were busy and they couldn't come to help when I asked them, but my cousin was actually enough to build the ramp and set up everything. I wouldn't say that we did it perfectly, but the backflip was good. but the landing didn't go well as planned. I really need to practice on doing the backflip and land it perfectly because my friend can do that and it kind embarrassing for me to no be able to do it, especially when we are rivals. 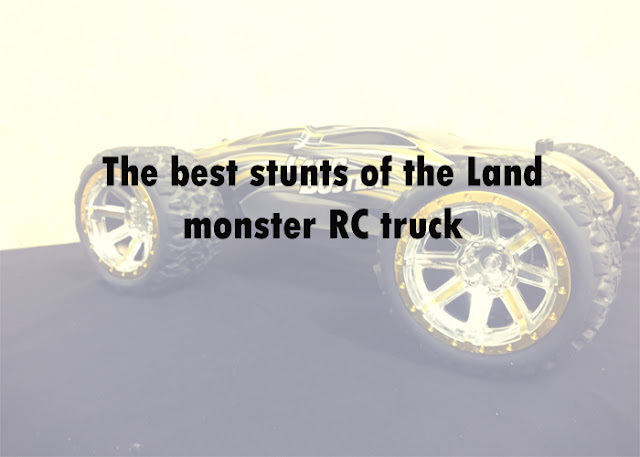 The third stunt is something that I have been practicing for a long time to do it and it's 'The RC pond drive' which I drive the RC on the pond and do a circle and get it back where it started without sinking on the pond. I keep failing because I always get nervous when I do it, but I managed to do a half circle and couldn't finish it. I still learning this stunt because it's my favorite stunt and its fun to drive on a water. I did this stunt back when my friend challenged me to do it because he thought that he could beat me on this, but I was lucky and I won it. Actually, I don't think it was luck at all, I'm a monster of the RC trucks when it comes to stunts. I'm not going to share any of the old RC trucks or cars in my collections anymore because these two were my favorite ones and I had so many memories and thought to save some of it to remember it years later. 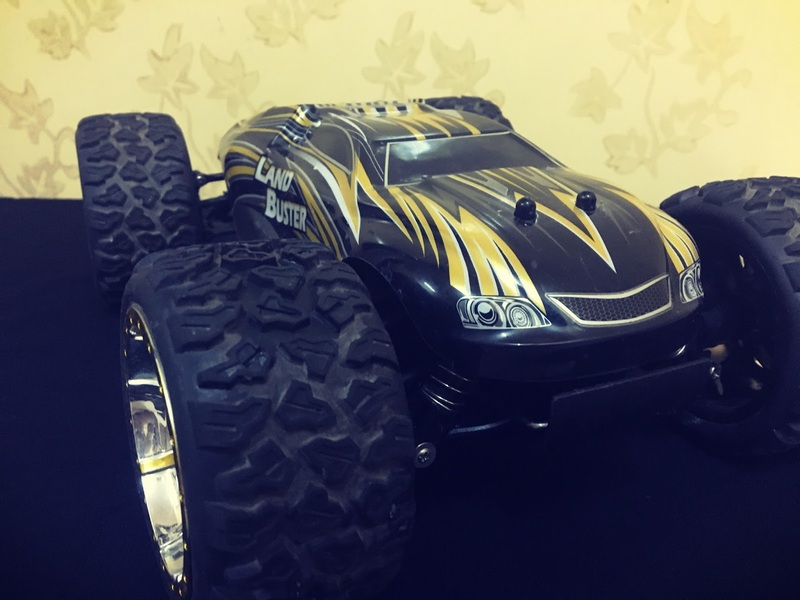 I feel sad because there weren't pictures of these memories back when I did them, but I'm going to start taking pictures of new RC trucks and cars and share them with you guys. I hope you enjoy reading this kind of topic. This looks so cool! Your post makes me want to go get one to drive around. Sounds like it has a lot of power behind it if broke your dads cup hitting it. That's awesome that you are trying to drive it on water without sinking it. That would be cool to accomplish. That truck looks pretty badass! My brother used to have lots of them growing up, they are so much fun. What an experience and thank you for sharing it with us. I must go and find the post on your first RC moment. Those cars are amazing. I can't imagine doing the stunts you're talking about. They sound terrifying! 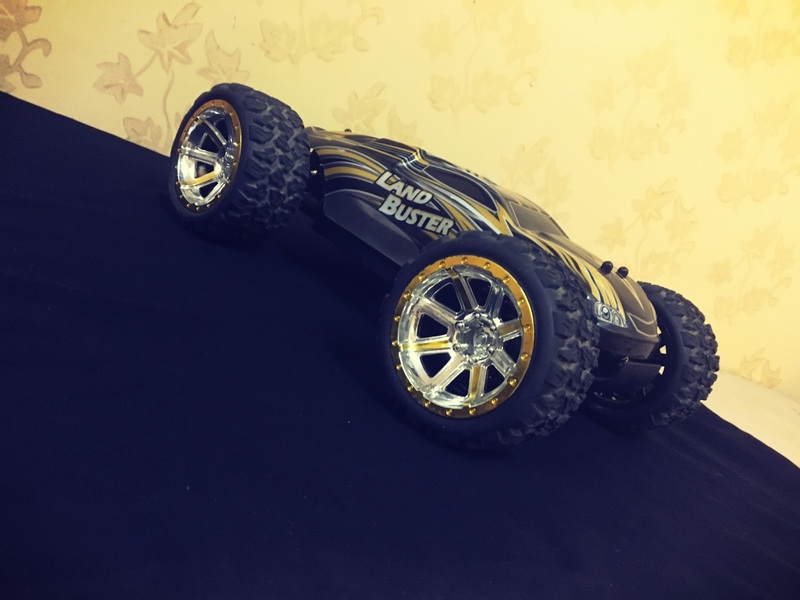 That is a nice looking monster RC truck! It must be so fun to play with! Good luck mastering the back flip! It sounds like a tough one to get right! That truck is so amazing! I am so into speed, strength and amazement of it. The truck looks so cool and the stunts sound rather difficult. How long does it take to master them? This definitely does take me back to my youth. I loved playing with the RC trucks. I haven't done it in so long. My daughter loves some truck stuff but it's not her thing. This is a pretty bada$$ RC truck! My nephews will likely have a fit when I share it with them! Also good that it can take a few hits against the wall without falling too pieces.